Winter will soon be here and its time for holiday plans and festive cheer. Plan your winter vacation depending on what you wish to do, either enjoy the crisp cold air or break away from it. People who love the snow and chill climates head off into the snow and people who prefer warmer climates take a break to warmer destinations. Vacationing could be on ski slopes, sunny beaches or a combination of the two. Scores of such snowy winter vacation destinations are geared up to welcome the winter vacationers. You can ski, snowshoe, snowboard or take a quiet stroll whilst on a winter family vacation. People have varied choices for winter vacations. Look a few popular winter vacation ideas. Skiing - People who love the snow would love to explore the slopes. Cruising - This can be fun; fabulous discounts and offers are given by tourism companies. Historical vacations - Kids would enjoy such a vacation. You can visit countries like India, Egypt, France, Italy, etc. Historical vacations serve as a two in one experience of holidaying and learning. 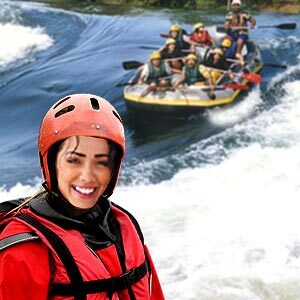 Winter vacations need not be expensive; numerous choices for economical winter vacations are available. 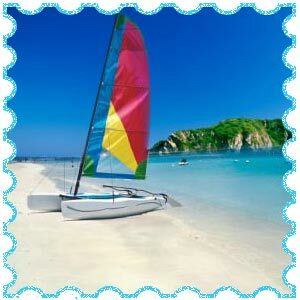 Beach holidays - Calm breeze, serene atmosphere, a campfire by the seashore can be fun during the winters. Hot springs - There are numerous hot springs across the US. A few places don`t charge any fee while the rest charge a nominal fee. Hiking - Winter can be a perfect time for some outdoor exploration. Camping in the outdoors while exploring the place can be equally fun. Desert visit - A treasure hunting visit in the deserts, you can also explore the ghost towns in the South West. Local winter events - Few cities host winter activities like sledding, ice carving competitions, ice skating, snowboarding, etc. Long drives across picturesque locales. People who love skiing can choose snowy winter destinations; there are numerous destinations that offer excellent skiing opportunities. Europe: The mountain range of Alps is Europe`s favorite winter vacation destinations. Scenic mountainsides with picturesque ski lodges, the Alps are a perfect winter vacation destination. Austria and France are also popular options. 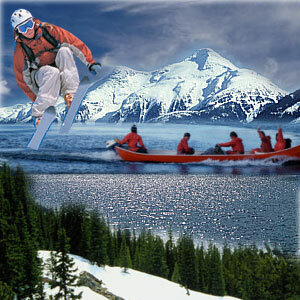 Canada: A fabulous winter vacation destination, Canada has 8000 acres of skiing. A perfect place to ski, numerous snow capped slopes are located outside the gleaming metropolis of Vancouver. Colorado: The ski resorts of this place are renowned throughout the world. The snow soaked town of Colorado is flooded with passionate skiers year after year. Millions of people consider these places as popular Christmas vacation destinations. Aspen: You can ski or enjoy a cup of hot chocolate in the lodge. New York: The charisma of New York City intensifies with the onset of winter. New York City is famous as the `urban Christmas vacation destination of America`. Ice skating is famous at Rockefeller Center. You can travel around Central Park under three inches of snow or warm up in one of the city`s legendary museums. People who wish to take a break from a hostile winter and its blues may want to holiday in warmer climes. Caribbean or Hawaii: Sandy beaches, calm breeze and serene atmosphere are an ideal choice for people who want to warm up during winter. These places have thousands of visitors every year. The contrasting season of many countries in the southern hemisphere makes them popular as winter vacation destinations. The South Pacific is filled with perfect winter vacation spots like Philippines, Fiji, and New Zealand. Australia is yet another winter destination that attracts millions of people every year. U.S. destinations: Explore the archaic ruins, laze in the sun in Las Vegas and Washington DC. In and around the U.S., places like Chicago, Maine, Hollywood, Utah, Bryce Canyon, etc are interesting. Central America: Places like Costa Rica and Belize hold a lot of interest. Central America has captivating destinations and also offers economical holidays. Other countries of interest: India, South America. Latin America: The rainforests in Brazil and the Amazon. With the holidays fast approaching, this is the right time you begin planning your winter vacation. No matter where you plan to go - be it a Caribbean vacation, a ski vacation or a luxury resort vacation - the sooner you start planning, the better. Winter is when many people decide to take a vacation, if you have planned for the same, follow the below given simple winter vacation planning tips. Plan the dates - Winter vacations can be scheduled anytime between Thanksgiving and April. Establish your budget:Have a budget fixed for your holidays, book your trip accordingly. Make sure you include food, entertainment and other petty expenses that you will incur while traveling. Then also decide on the type of winter vacation you are looking for. Choose the destination: Hawaii and ski resorts are renowned winter destinations and are very expensive too. If you have a limited budget, you can choose any skiing location that is close to your home or an inexpensive holiday location. Before you finalize any destination, browse the Internet and collect all possible information. Block and book your tickets: Always book your tickets in advance as there might be a last minute rush for booking tickets and the destination you have chosen could the favorite destination for many. Last minute ticket booking can be pretty expensive too. If you have decided to take a vacation at a place close to your house, you can drive down. Book your lodging and make all other necessary arrangements in advance. Depending on the season, you will be offered discounts. Clothing: Pack clothing that will suit the climate of the region you are traveling to. There are shops that rent out winter gear, you can check on that too. If you are driving down to your destination, stop at places of interest en route. E.g. museums, science centers, etc. This will give you a break from the long drive. If infants or toddlers are a part of your vacation, be prepared to handle their crankiness. Stick on to their usual schedule of mealtime and bedtime. Keep reservations, instructions, guidelines, maps and schedules in a file so that they are readily accessible.